Any strong project first begins with a strong set of tools. Tool #1: Your brain – filled with all those ideas, images, and skills. But my second set of tools in the digital design world are links. What? Yep. Links. Links to great articles. Links to great inspiration. Links to great resources. Below I’ve grouped some of my all-star links into the categories that compose the beginning stages of a design project. The basic building blocks if you will. Enjoy. And by patterns I don’t mean background visual patterns like this or this, but user patterns. Should the fields have background? Should “forgot password” appear at the top or the bottom? Can I put 10 icons in the navigation bar (please don’t)? 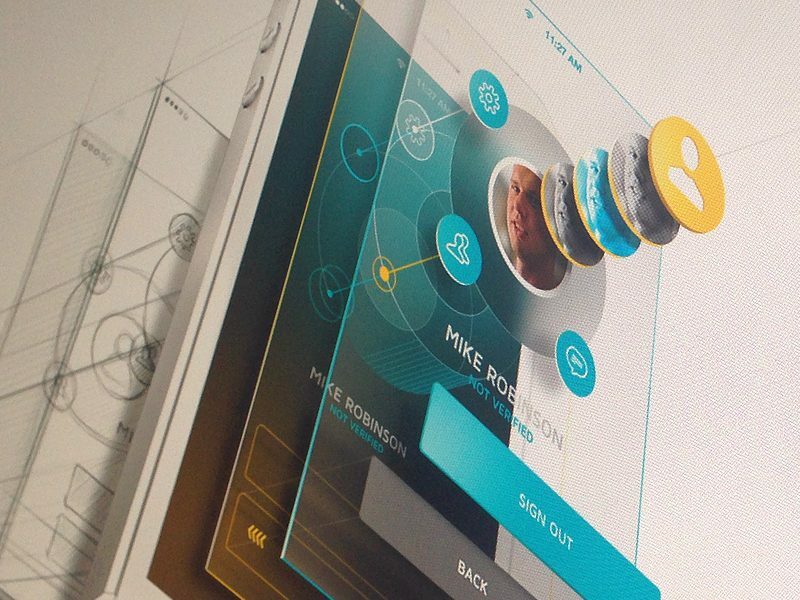 The most important question – What is the difference between iOS and Android in UI design? 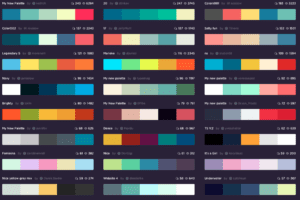 An animation adds polish, delight, and energy to your app. More than just a spinning circle, an animation can make using an app a memorable experience instead of a series of colored squares you tap your finger on. When you find yourself having this sort of conversation – hold the presses and go here: Kuler or here ColourLovers or here Coolors. You can take all three of the above categories and still build drastically different apps when you implement a “style“. Do you want modern and sleek? Bright and playful? Traditional and trustworthy? Each style elicits a different combination and selection of colors, textures, and placement. I like to get an overall idea of stylistic choices from the parents of design aggregation: Dribbble and Pinterest. That rounds out my link-tastic high-level run down of starting a design process. Go forth and make beautiful and wonderful things! We spend a lot of time behind the scenes building the structures and underpinnings of apps. However the buck doesn’t stop once the app is built. We’ve talked about our own promotional journey on the blog, but it is also exciting to see others gain the same traction. When it is time for an app to go to market, our role begins winding down but the promotional process is just beginning. Let’s go! Recently an app we built has begun making the rounds. Expo works seamlessly with Box, Dropbox, Google Drive, and OneDrive, making it simple to find, organize, and use the content you need regardless of where it is stored. Expo gives sales reps instant access to the right content at the right time, so they can create perfectly tailored presentations, have more engaging conversations, and share follow-up materials like never before. When we first started working on Expo it was in its early prototype stages. We transformed the app from a good demo into an amazing working product. This involved writing a syncing engine that made sure users had the latest content, ensuring that the app handled offline usage gracefully, and updating the UI so that the look and feel of the app was totally customizable for each user’s business. We also added all of the little things that make for a great user experience, including implementing a smooth onboarding and cloud connection experience for first time users. Outside of presentations, Expo retains its high sense of style. Files are presented in visual galleries with generous thumbnails alongside their file names and types. A user can create collections and dynamically resize the files added to those collections. 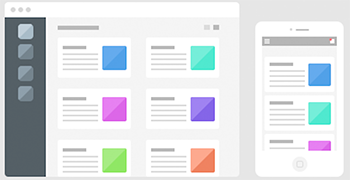 A gesture based sidebar helps a user navigate through their content effortlessly. Modals pop up and gracefully display follow up items before they are shared via email. And Expo is ready for white-labelling, which means that every company can customize the interface with their own branding by simply adding their logo and specifying their brand’s primary and secondary colors. Now that it is built, Expo is totally ticking our suggested boxes for what to do when you’re ready to launch. We’re so glad they’re taking this beautiful code-baby to market in the right way. If you want to learn more about Expo or take it for a trial run – check out their website for more details.